Should I give up Ben Roethlisberger and Fred Jackson in exchange for Tom Brady? Let me start out by saying thank you for your submission. It is a privilege to be able to assist you with tough fantasy decisions. Your trade that has you giving up Ben Roethlisberger and Fred Jackson for Tom Brady is a very intriguing one. Overall on week to week basis Big Ben and Jackson combined will consistently put up more fantasy points than Brady alone. Big Ben has significant upside this year with weapons like Antonio Brown, Emmanuel Sanders, and Mike Wallace finally showing up in Steelers camp. Fred Jackson is also a very solid runner that should average 17-20 touches a week with the Bills. Sure C.J. Spiller will cut into some of his time, but it will not be significant enough to hurt his fantasy value. He will get a majority of the goal line carries and will be on the field in all but the most obvious passing downs. So all in all if you are thin at the running back position I would stick with the 2 players you have as Big Ben keeps you relevant at the quarterback position, while Fred Jackson provides you with one of the more elite options at running back. However, if you are deep at running back and can afford to lose Jackson without leaving yourself thin at the position then you should strongly consider taking the deal. 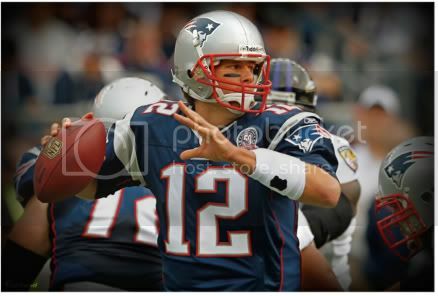 Tom Brady is a elite quarterback with many versatile weapons at his disposal. Every week he will bring his A game and will end up within the top 3 at his position and top 10 of all fantasy players. Justin is here to provide you with pre-draft knowledge, in season trade advice, and overall fantasy team ratings that will help you to the ultimate goal of winning your fantasy league. With over 10 years of fantasy football experience I am here to share the winning knowledge that has kept me in the playoffs year in and year out and provided me with multiple fantasy league championships.